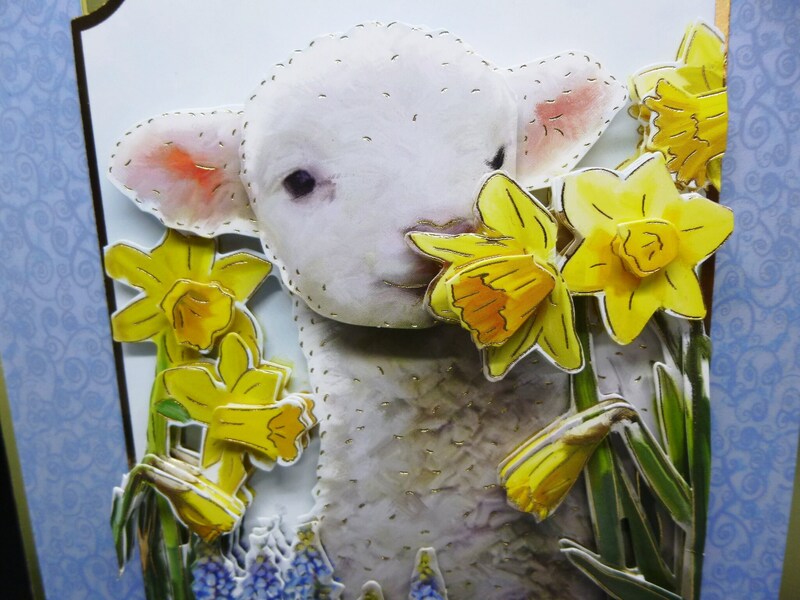 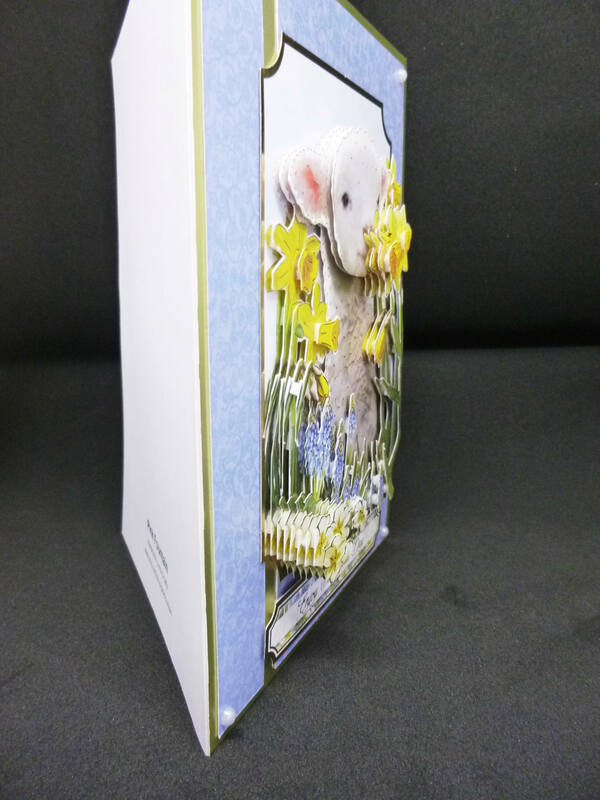 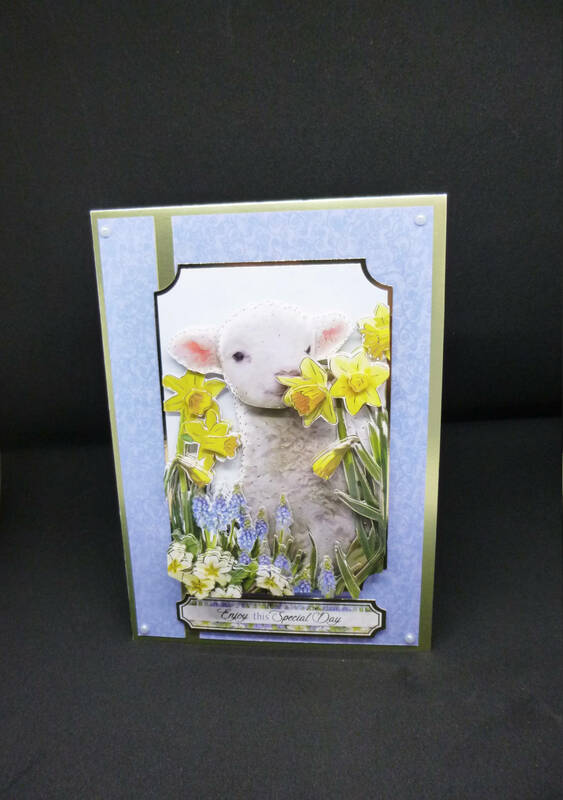 3 D decoupage handmade card, spring lamb amongst spring flowers. 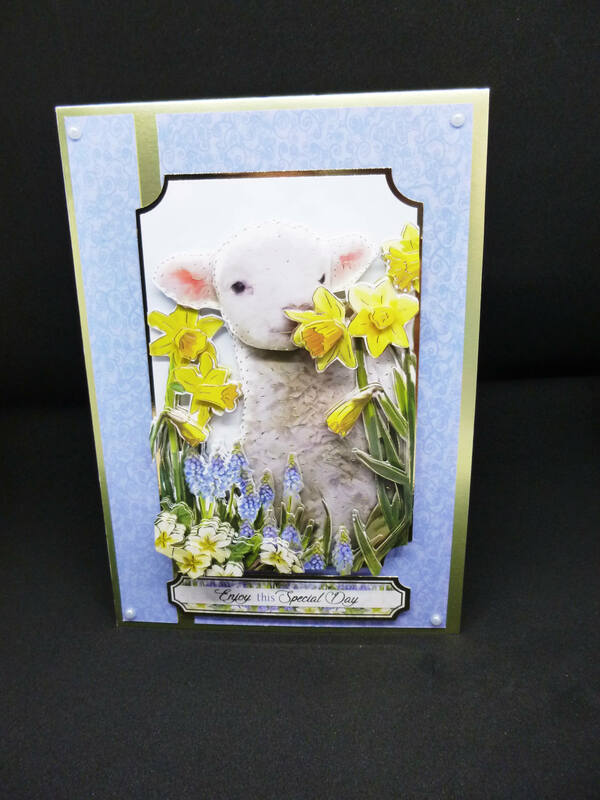 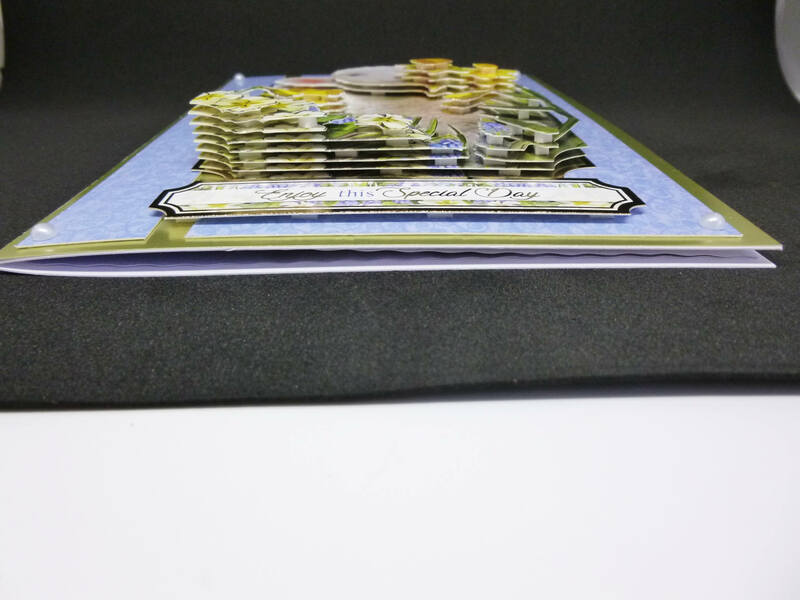 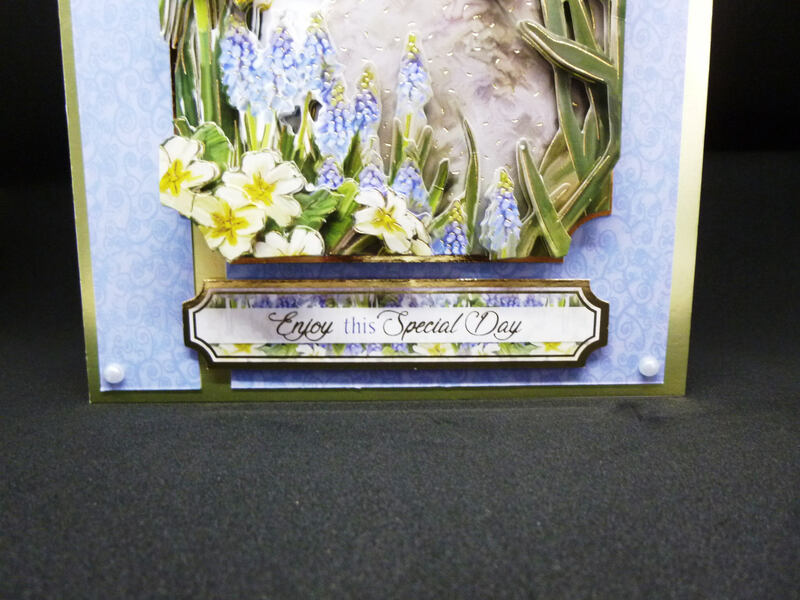 made from white base card, layered with yellow card and blue patterned card, large topper in the centre with the decoupage of a spring lamb, several layers of decoupage to give the card depth and add dimension. 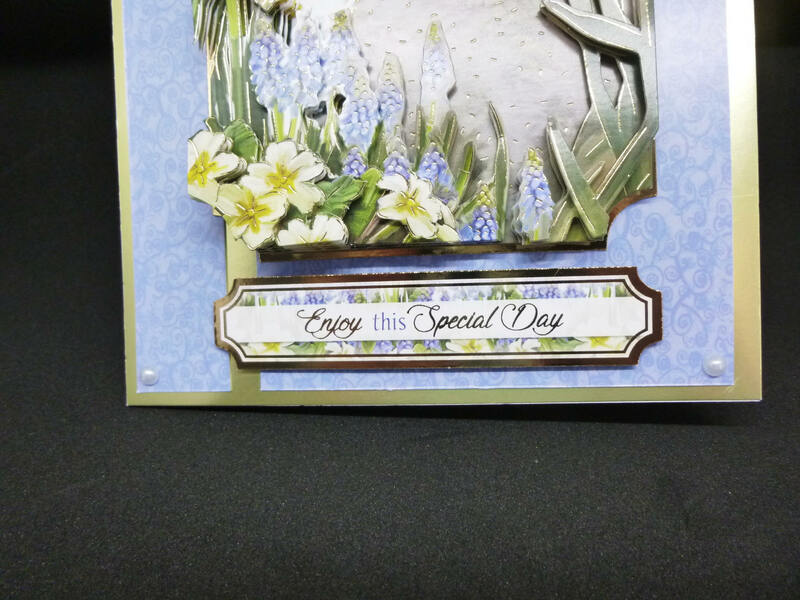 At the bottom of the card is the sentiment which says, ' Enjoy this Special Day'. 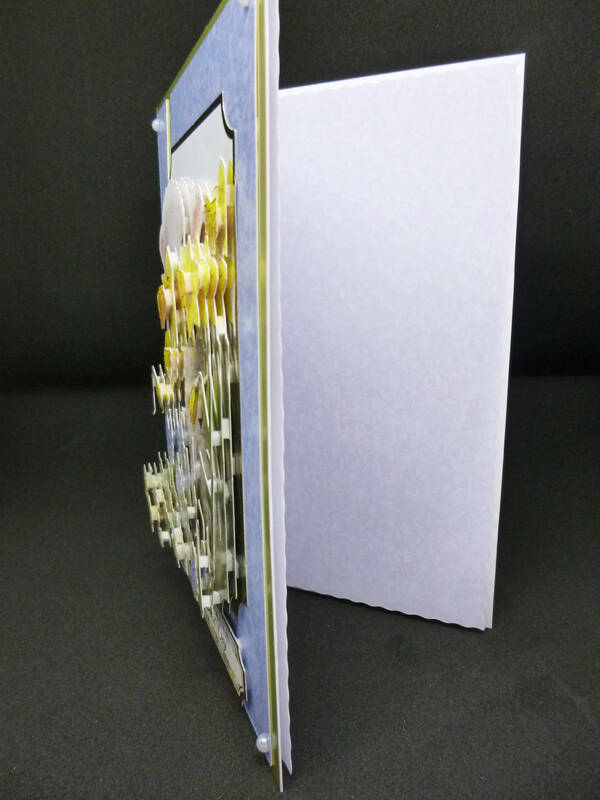 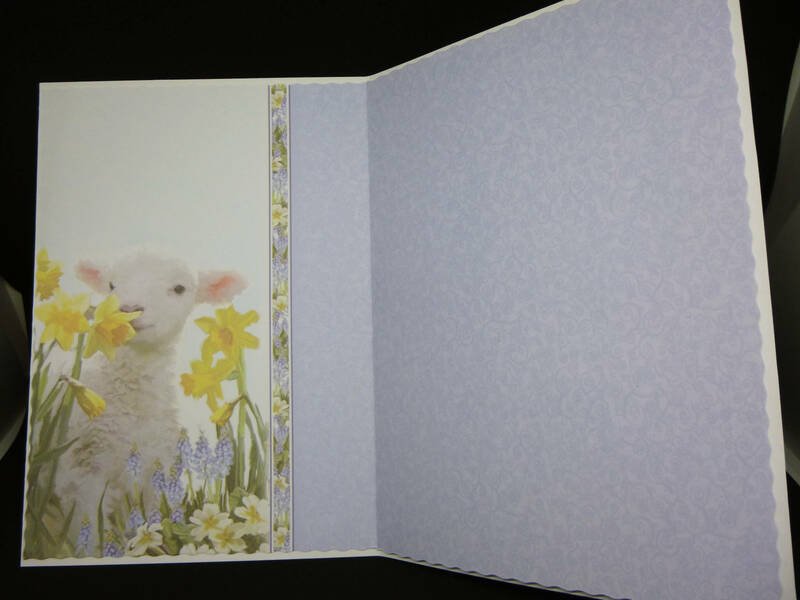 Inside the card is matching insert paper which blank for you to write your own special message.